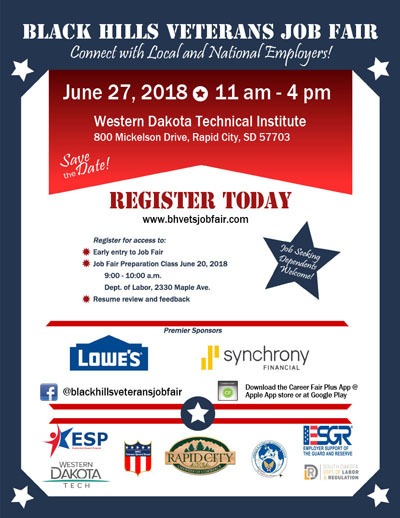 Get your resume ready for the Black Hills Veterans Job Fair on Wednesday, June 27th from 11 AM to 4 PM at Western Dakota Technical Institute. It is FREE and open to veterans and job seeking dependents! 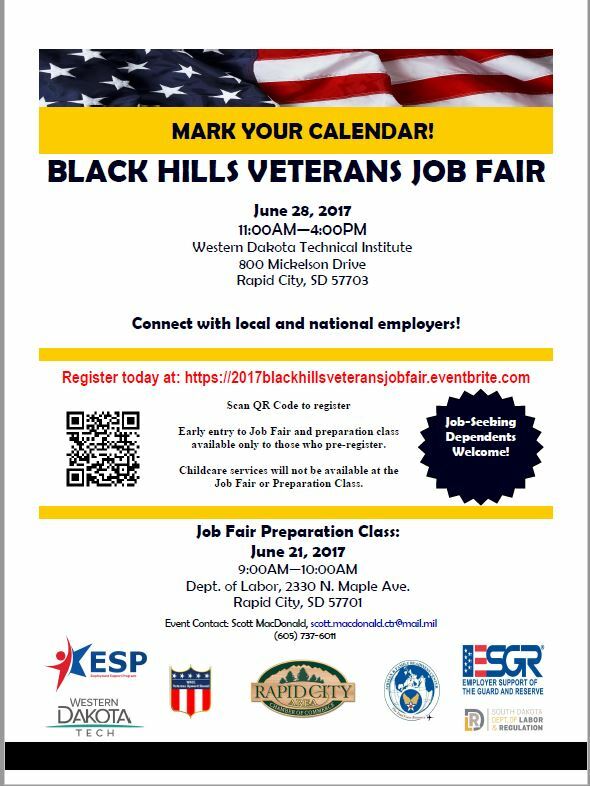 Register today at www.bhvetsjobfair.com. Are you looking for a job? 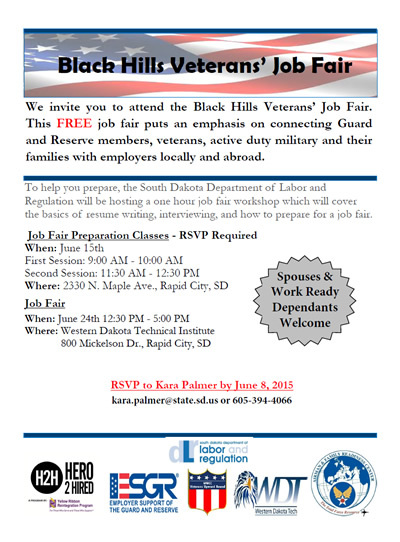 Tomorrow is the day to attend the Black Hills Veterans Job Fair at Western Dakota Technical Institute. 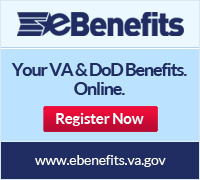 It is open to veterans, active duty military members, and their family members. Visit http://jobs4ellsworth.com/mte for a list of employers attending. Calling all service members, veterans and military spouses. Join Veteran Recruiting July 30th (1-4pm EST) for the Thank You for Your Service virtual career fair http://www.veteranrecruiting.com/ great companies and chance to win an iPad.